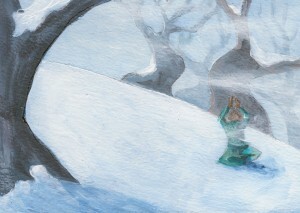 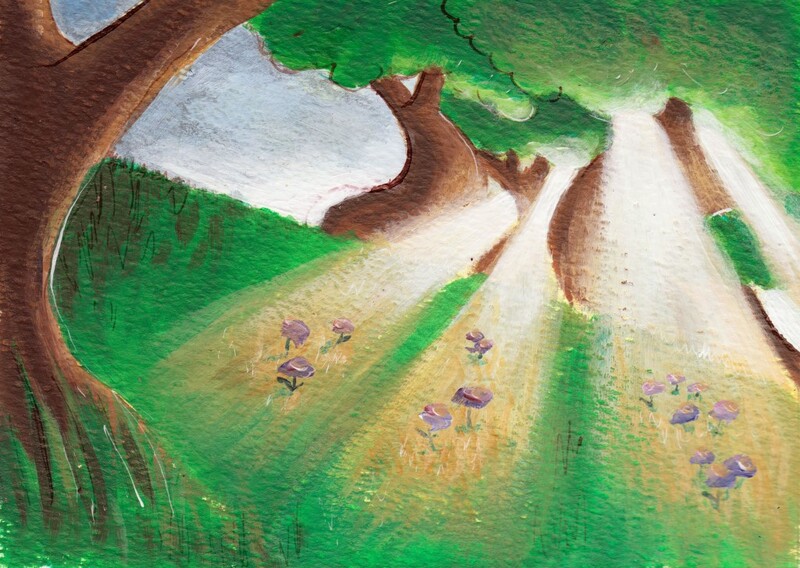 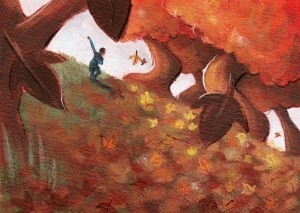 We follow Adeel on his journey of discovery from summer into winter as he anticipates the coming of spring. 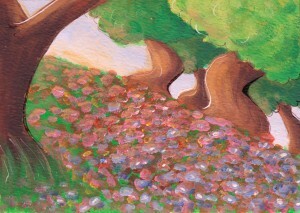 When Spring Comes was a play about loss and rebirth, exploring the resilience of the human spirit in the face of adversity. 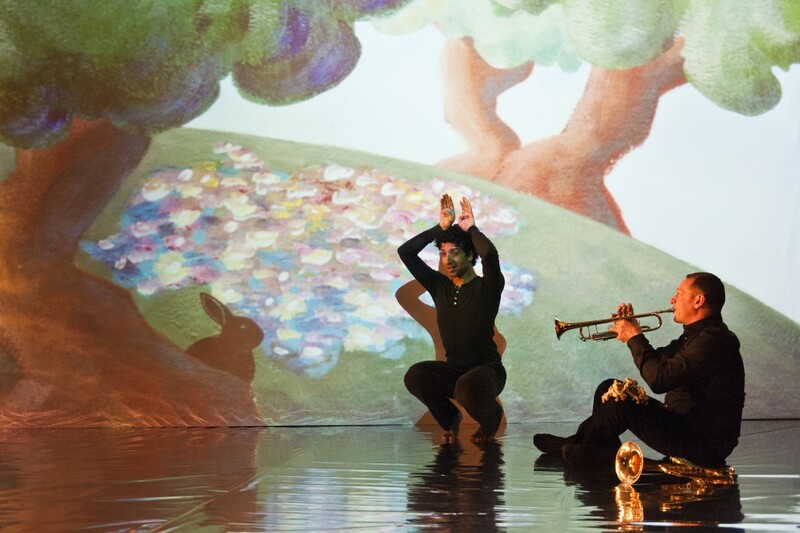 This production for ages 3 to 7, fused Kathak & contemporary dance with live jazz music, against a backdrop of beautiful animation. After the performance, the audience were invited to join Adeel on the stage and dance to the gentle improvised jazz rhythms of the play. 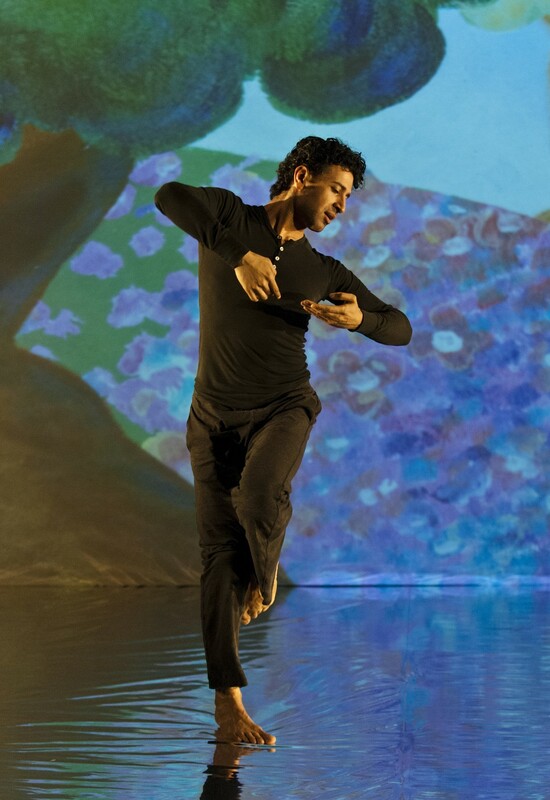 The show featured contemporary Kathak dance by Vipul Bhatti and live jazz trumpet by Sean Corby. 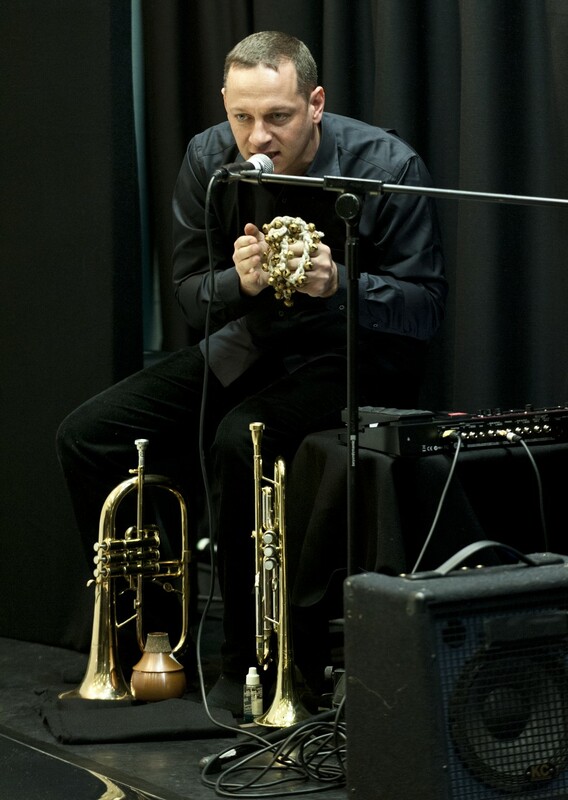 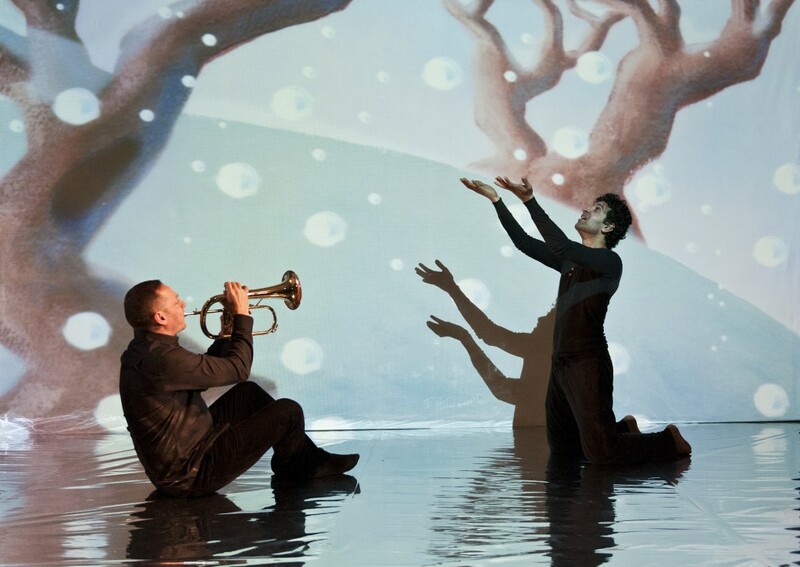 This production was re-mounted for touring in 2014 with a saxophone/clarinet based jazz soundtrack by Alex Tosh who performed with the piece. 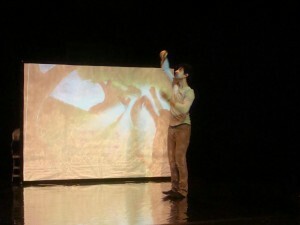 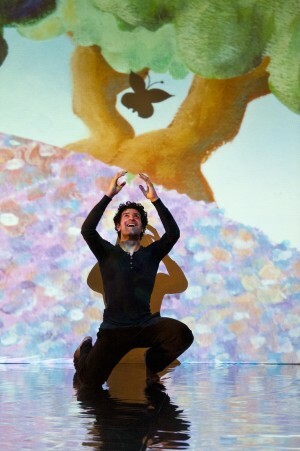 The production featured at the Southbank Centre’s Alchemy Festival and Leicester’s Spark Festival. 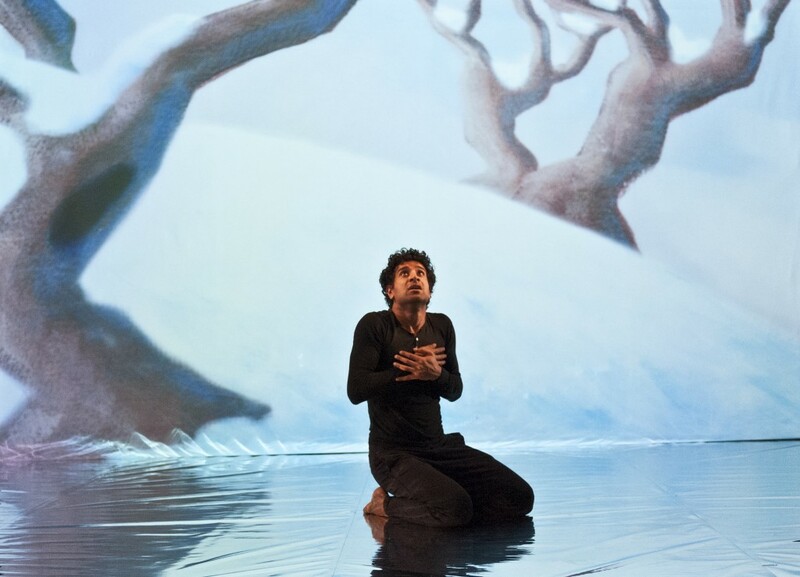 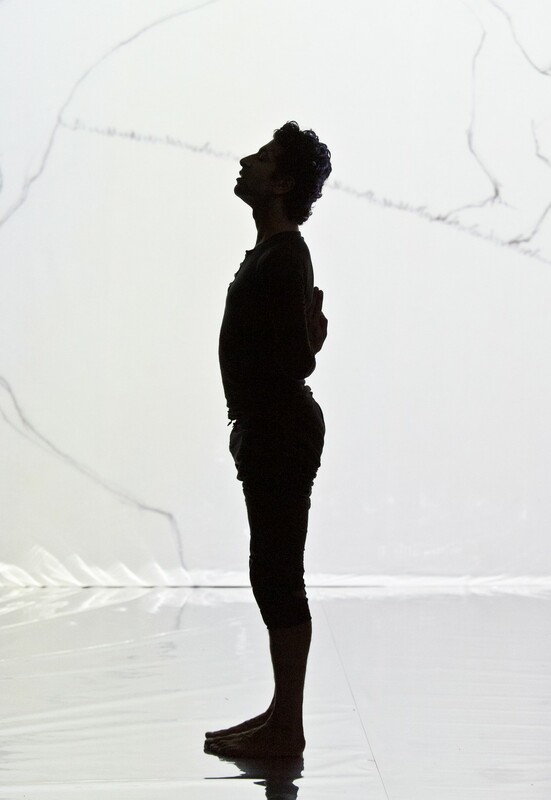 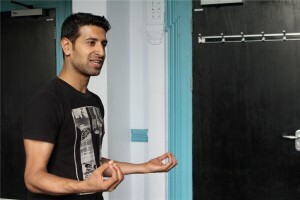 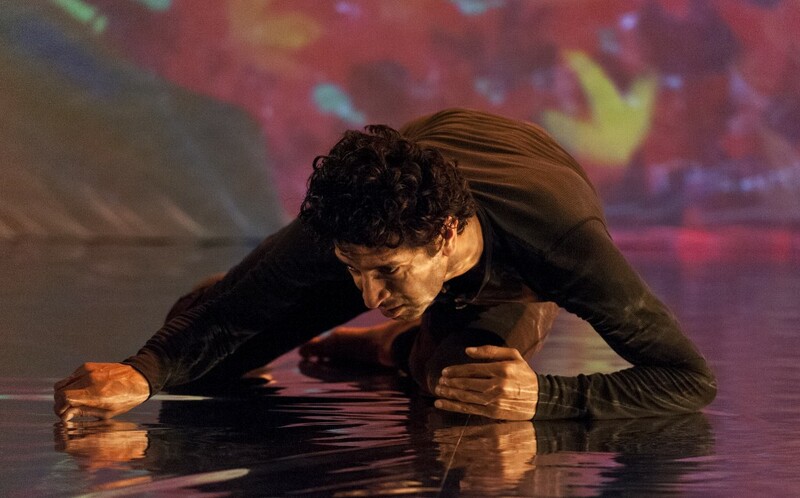 Vipul Bhatti took part in Half Moon Theatre’s Exchange for Change programme, which allows artists from different artforms to collaborate on creating new pieces of work. 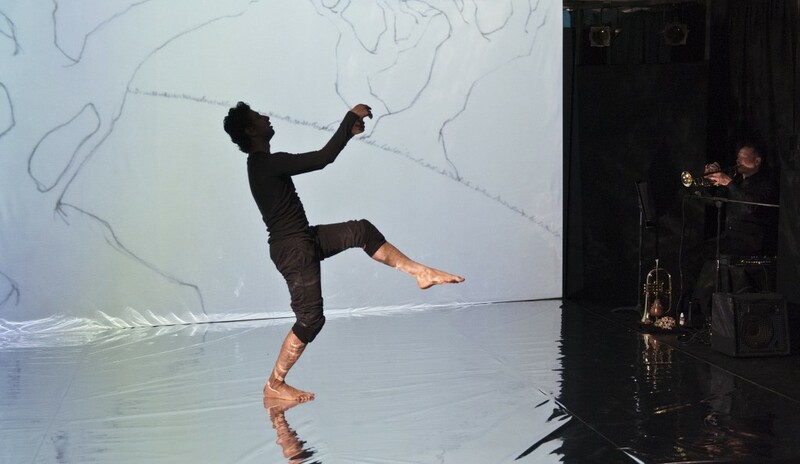 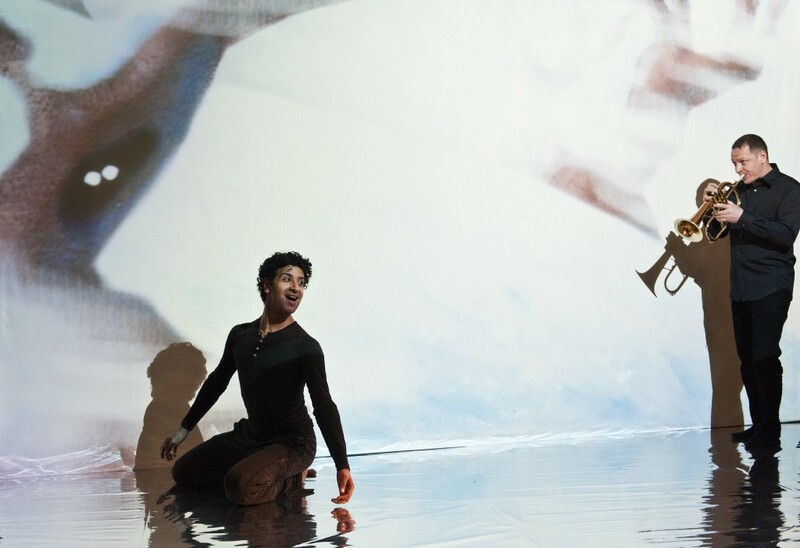 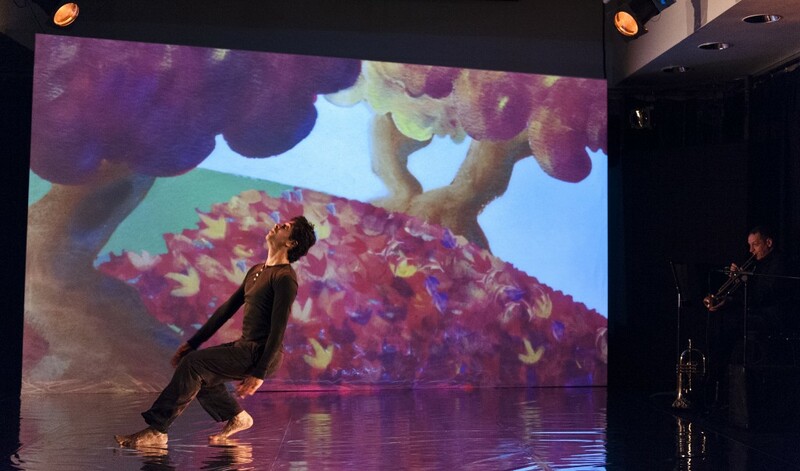 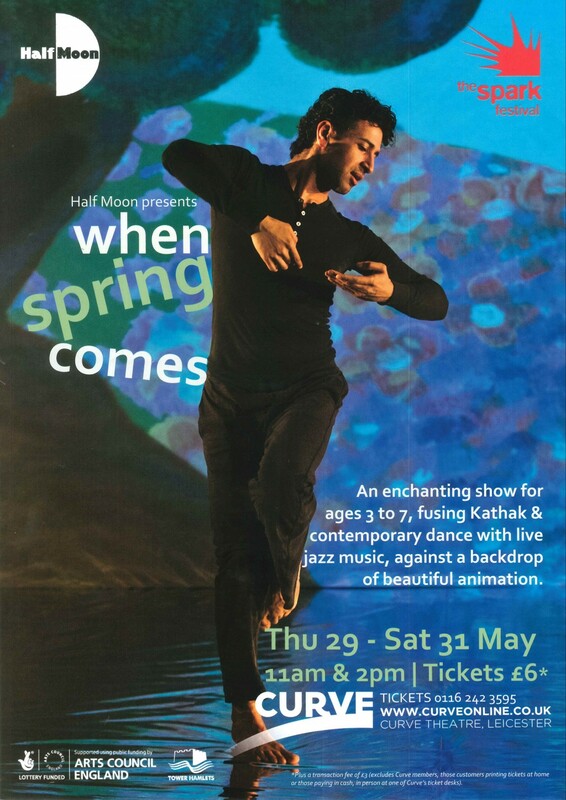 Here Vipul, who’s a contemporary and Kathak dancer, talks about When Spring Comes, which he created with a visual artist and jazz trumpeter. 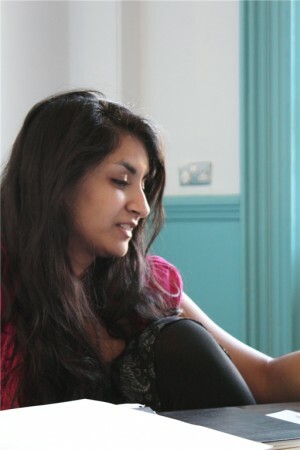 Interviewed by Caitlin Ralph. 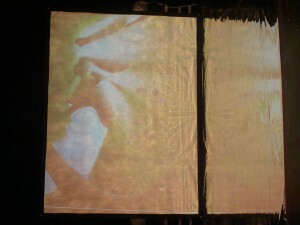 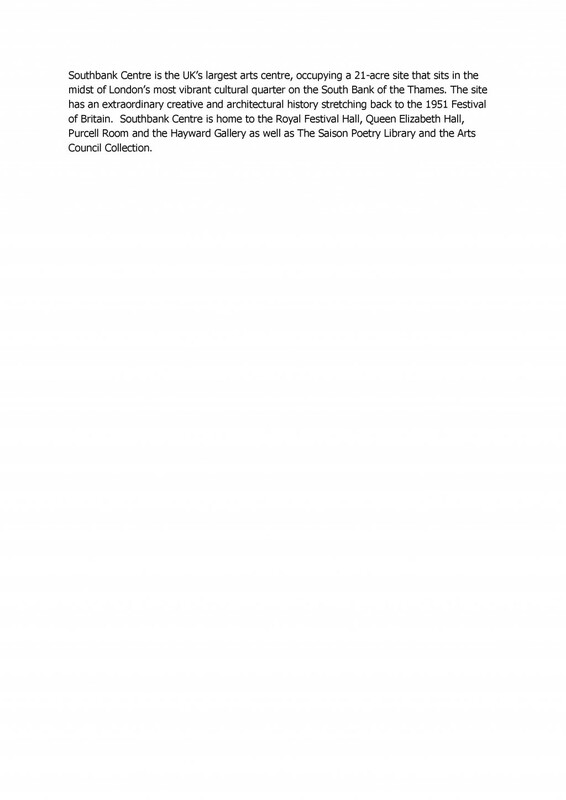 Chris Elwell has been the Director of Half Moon Theatre on White Horse Road since 1997. 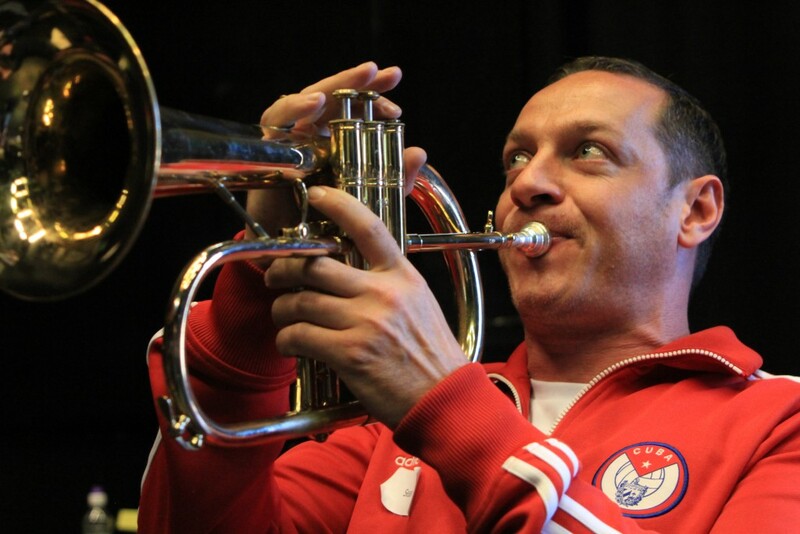 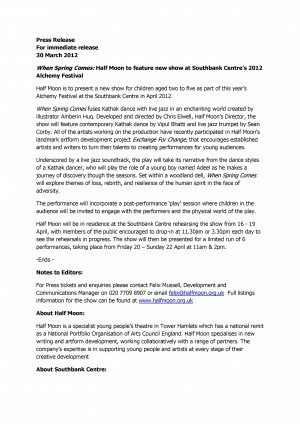 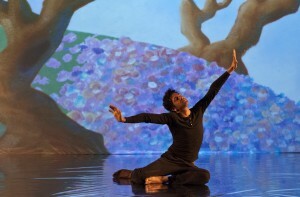 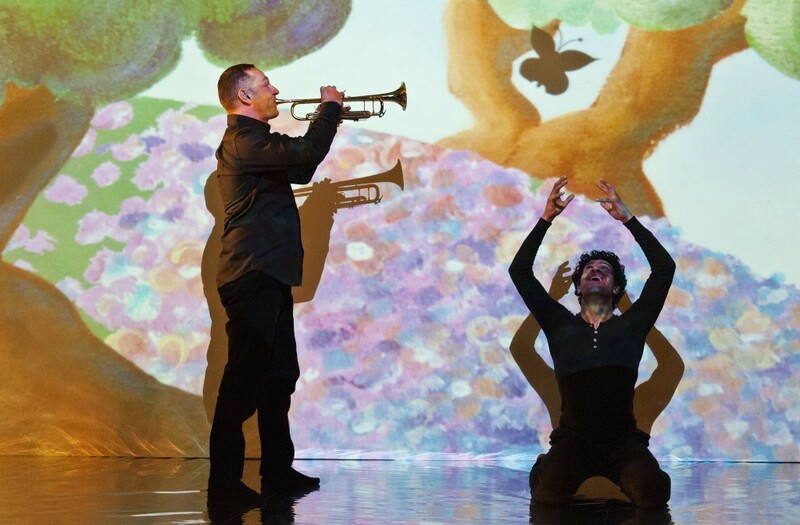 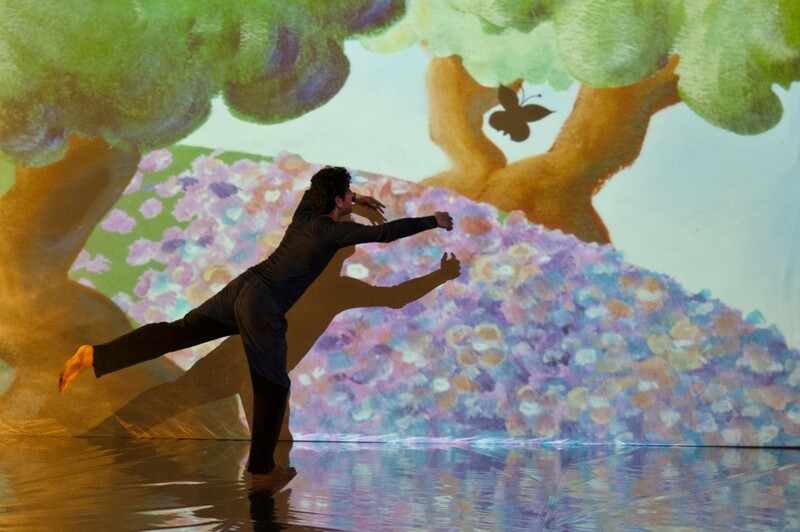 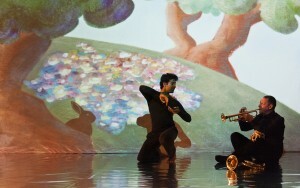 He talks about When Spring Comes, a piece for under 5s with a contemporary Kathak dancer and a jazz trumpeter. 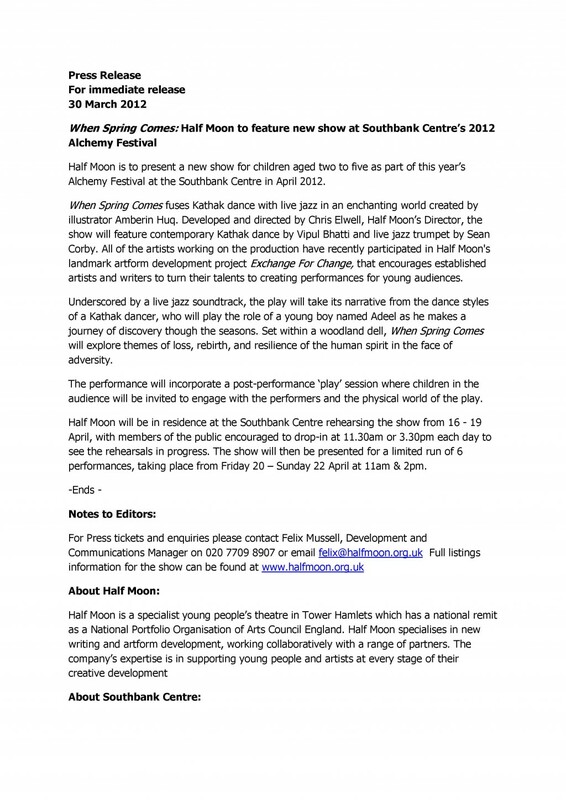 Interviewed by Kavana Joyett.